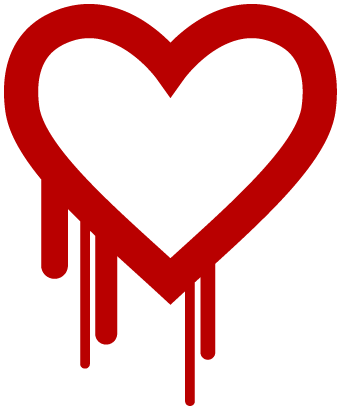 Heartbleed affects much of internet. Time to change your passwords again. The security community is buzzing with news of a threat called Heartbleed. The bug reportedly affects nearly two-thirds of all websites, including Yahoo Mail, OKCupid, WeTransfer, and others. The bug takes advantage of a vulnerability in OpenSSL, an open-source protocol used to encrypt vast portions of the web. It allows cybercrooks to steal encryption keys, usernames and passwords, financial data and other sensitive data they have no right to. ...that the little lock icon (HTTPS) we all trusted to keep our passwords, personal emails, and credit cards safe, was actually making all that private information accessible to anyone who knew about the exploit. The latest version of OpenSSL fixes the problem and websites are already upgrading. However, your popular social site, your company's site, commerce site, hobby site, sites you download software from or even sites run by your government might be using vulnerable OpenSSL, warns Codenomicon on their site about Heartbleed. GitHub compiled a list of sites that are vulnerable, but some may have already been updated. AVAST’s website is safe from the Heartbleed threat. You can check a site’s vulnerability status at the Heartbleed test site which enables users to enter domains. If a site comes back as an “uh-oh” but doesn’t say “heartbleed” then there may be something else wrong, but it’s not Heartbleed. Update: AVAST's COO, Ondrek Vlcek recommends this checker, http://www.ssllabs.com/ssltest/analyze.html. You need to change your passwords for any vulnerable sites as well. Once affected sites start making the updates, they will most likely advise their customers to change their passwords. Earlier today, Tumblr sent their users a note encouraging them to change passwords to all their online accounts immediately. "This might be a good day to call in sick and take some time to change your passwords everywhere -- especially your high-security services like email, file storage, and banking, which may have been compromised by this bug," Tumblr said on their blog. We have written tips about creating strong passwords in the avast! blog. Read My password was stolen. What do I do now? as a reminder.